Most of our readers will be old enough to remember the hit single “Money for Nothing” that topped the US charts for three consecutive weeks and won MTV’s video of the year in 1985. Who would have thought that 25 years later one would witness negative interest rates? Following numerous re-iterations of quantitative easing the Fed has provided more than just a life support and fueled the longest uninterrupted bull market in US history which quadrupled the S&P 500 from its intra-day low of 666 on March 9th 2009. Over this period of record low interest rates, US corporates have been able to fund their share-buybacks and in many cases their dividends. More recently this phenomenon has been boosted by a one off tax cut. In addition, the increase in corporate debt has gone hand-in-hand with the increase in profits and cash-flows taking the stock market higher. Where do we go from here? Inflection points in economic cycles are very difficult to predict and the transition from QE to QT has impacted equity markets of late. The massive sector and factor rotation witnessed in October and the beginning of November have clearly caused a lot of damage to most equity related strategies (long only, long short and market neutral). All this appears to have been sparked off by US monetary policy, setting off a knee jerk reaction in position unwinding by fund managers. With the recent change in Fed rhetoric, one wonders if the Fed has not underestimated the impact of Trump’s trade war. 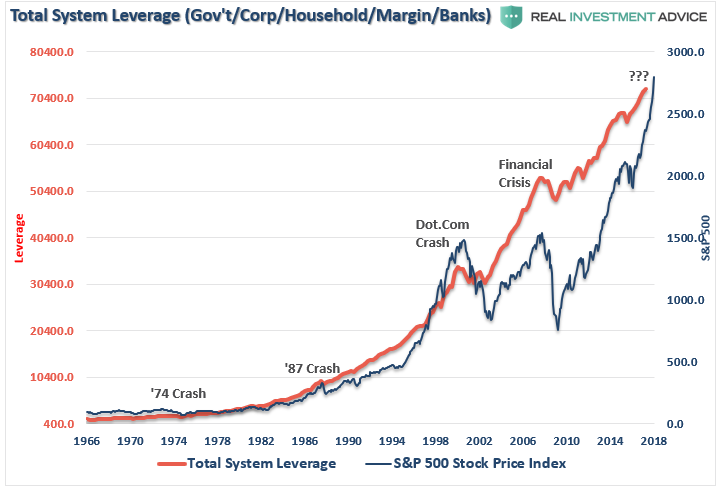 As we all know, leverage always comes back to bite you at some point. The question now is whether to continue to be long the equity market or take a hedged approach as markets are likely to remain volatile.